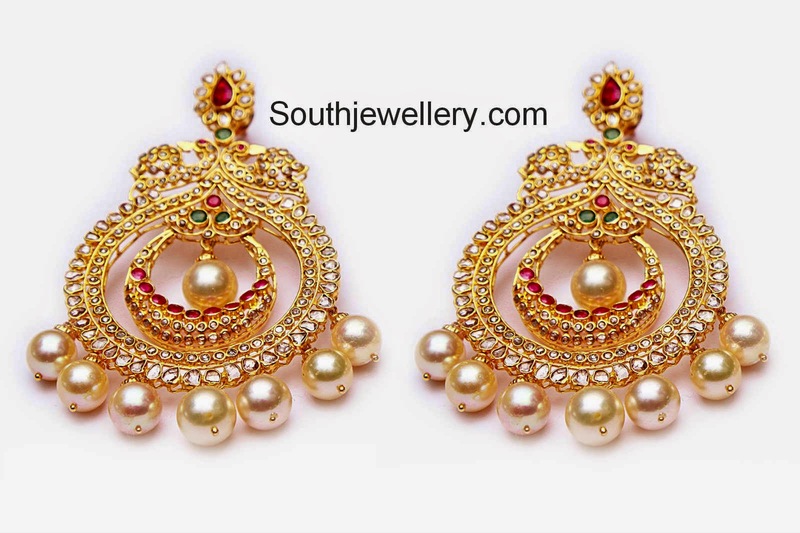 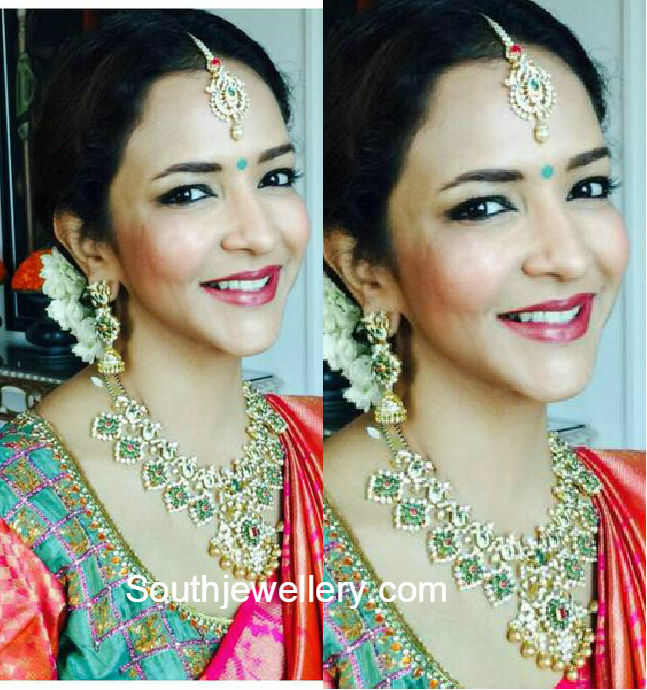 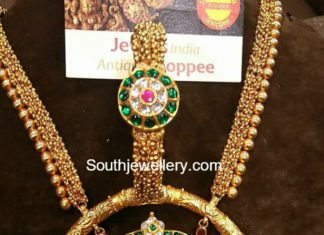 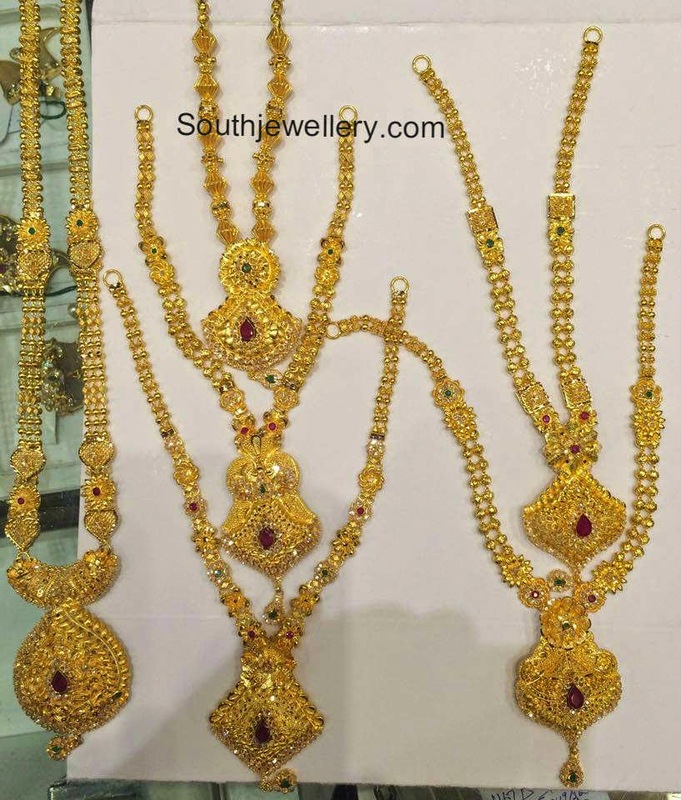 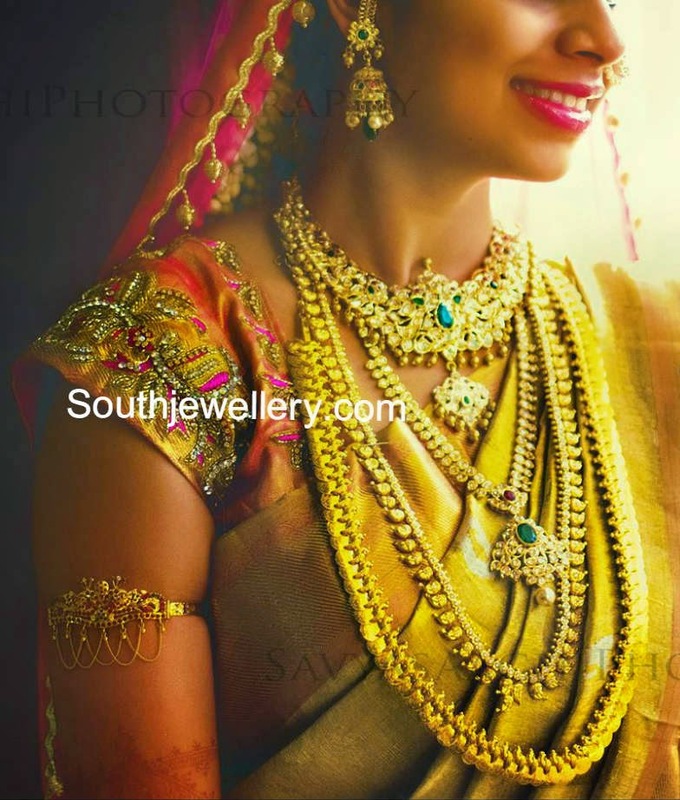 22 carat gold antique gajjalu haram with Shiva Parvathy pendant studded with kundans paired with matching kundan earrings and bangle by Jewels India Antique Shoppe. 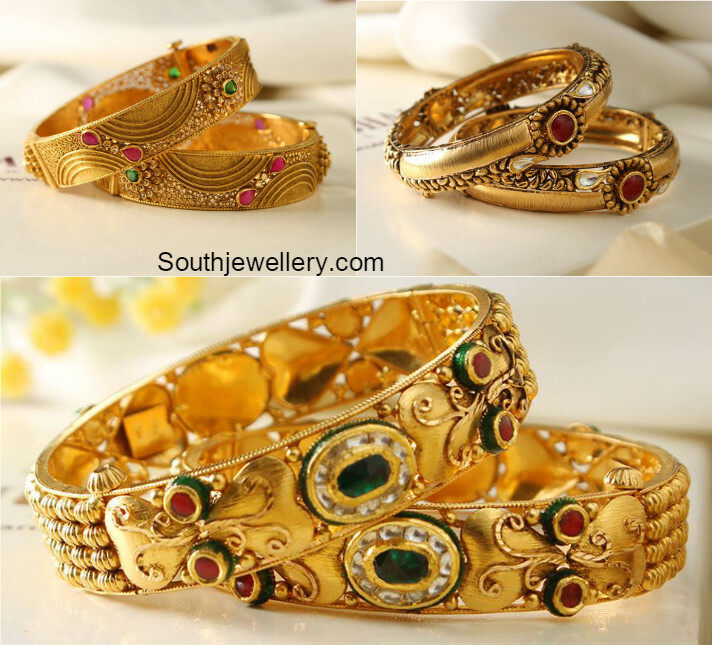 22 carat gold antique bangles studded with precious stones by Manubhai jewellers. 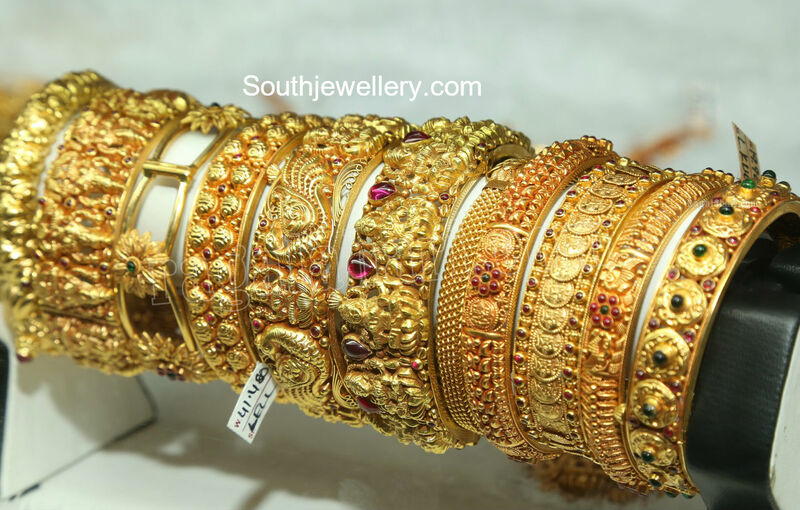 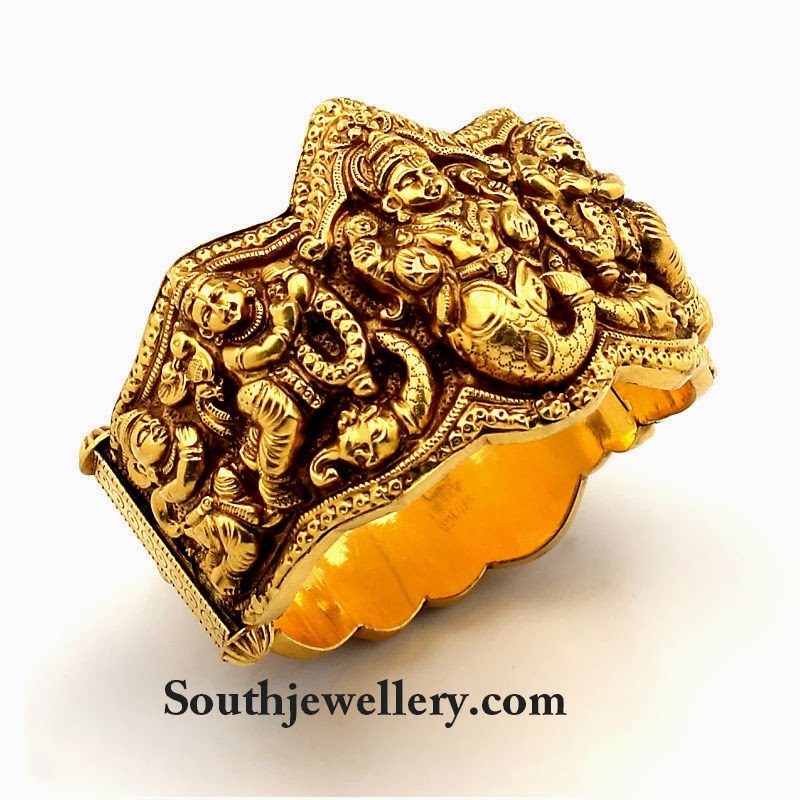 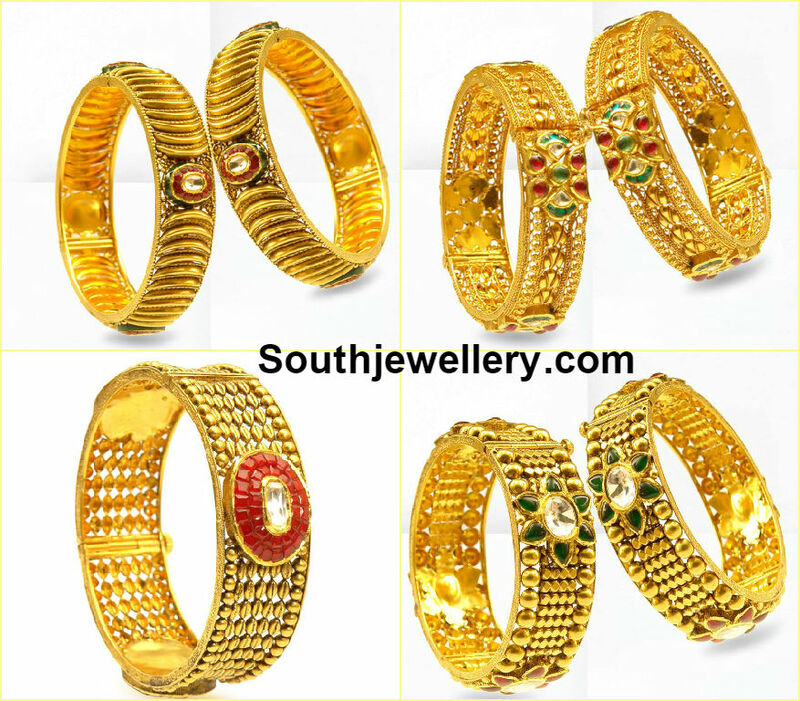 22 carat gold traditional antique gold bangles. 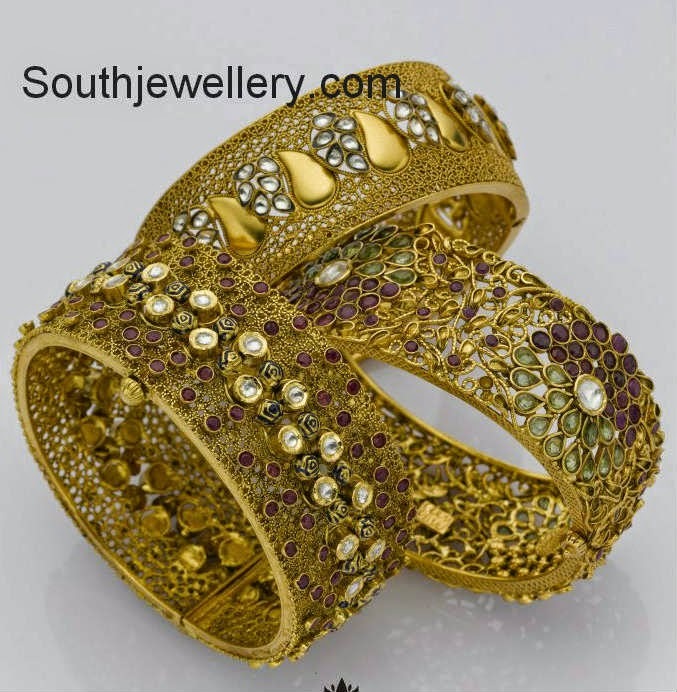 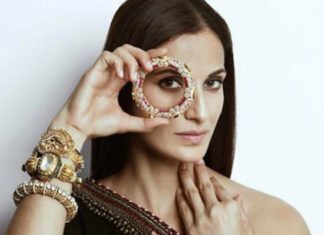 22 carat gold antique bangles studded with precious stones.